KATHMANDU, Dec 10: Minister for Finance Krishna Bahadur Mahara has urged government-owned banks to increase their lending in rural parts of the country. 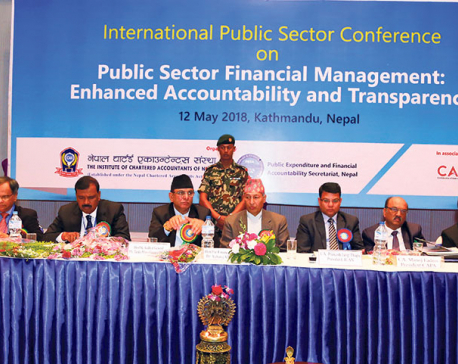 Summoning the chief executive officers (CEOs) of three government-owned banks to the Ministry of Finance on Thursday, Mahara instructed them to expand their services in the rural parts of the country and increase financial access of the people there. The government fully-owns Rastriya Banijya Bank Ltd and has controlling stakes in Nepal Bank Ltd and Agricultural Development Bank Ltd.
“As the government-owned banks have been mobilizing most of their deposits in the rural areas, they should also increase their credits there,” Tribhuban Poudel, press advisor to Mahara, quoted the finance minister as having said to the CEOs. The minister’s instructions have come at the time when government-owned banks are said to be making most of their loan investments in urban areas from deposits collected mostly from villages. Also, the Finance Ministry sought the help of the government-owned banks to meet the government’s ‘one-house-hold one-bank-account’ campaign. To increase financial inclusion and promote banking habits among all people, the government had launched the campaign to encourage each household to open at least one bank account.